About 1845 Bridgeport was first founded as Jonesville and was named for Charles Smithson Jones, the largest landowner in the area. In 1852 the Nashville & Chattanooga Railroad reached the small community and changed the settlement by bridging Jonesville and Long Island. The establishment resulted in growth along the river and by December 15,1854 Jonesville would be changed to Bridgeport. In April1862, what is now known as Battery Hill, General Ormsby M. Mitchell of the union attacked Confederate troops under command of General Danville Leadbetter. There were casualties from both sides and the railroad’s drawbridge on the opposite side of Long Island was destroyed by the Confederates. 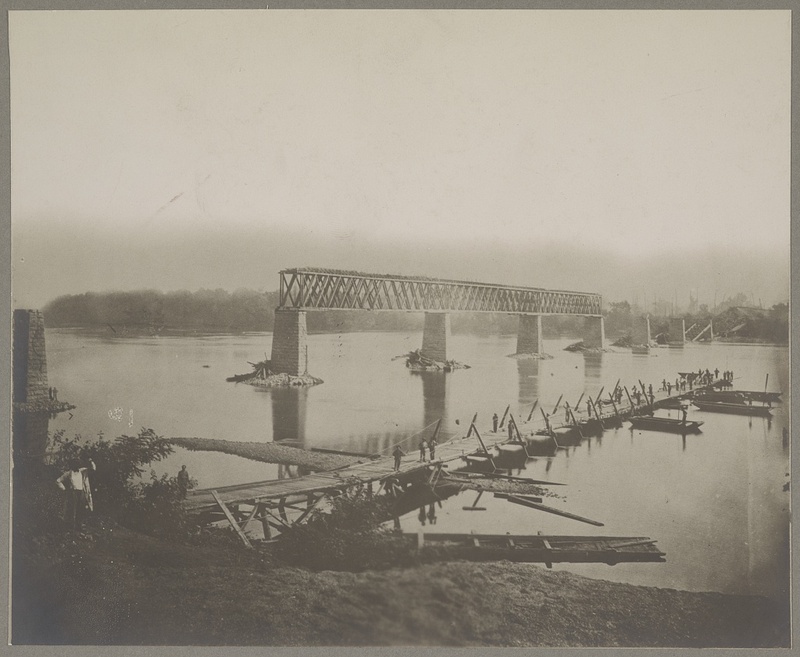 In May 1862, Mitchell ordered the long railroad truss bridge burned. In 1863, General Braxton Bragg of the confederacy, burned the town and a portion of the long truss bridge prior to the Battle of Chickamauga. General William S. Rosecrans of the union would later occupy Bridgeport and hold it for the remainder of the war. Rebuilding would take place including a Union field hospital and military cemetery along with construction of steam transports and gunboats. The first of which was the U.S.S. Chattanooga with the U.S.S. Bridgeport being one of the last. The railroad drawbridge at Bridgeport would be burned once again and the Union Army would rebuild them. Bridgeport would become a major supply base for the Union Army and General William T. Sherman’s Atlanta Campaign. Bridgeport continued to be occupied by the Union until well after the end of the war in 1865 and would be rebuilt.